Sometimes, I am overly critical and curmudgeony against mega-churches and their pastors but I like Craig Groeschel a lot. 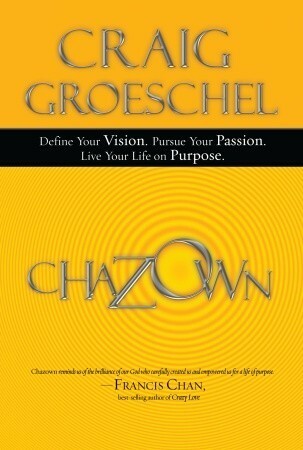 And I really like this book, Chazown, a lot, but I got problems with the title. So while this is generally a pretty positive review, the next paragraph is a little cranky. If you’re avoiding negativity in your life, you might want to skip it and pick up this review in paragraph three. The title, Chazown comes from the Hebrew: חָזוֹן or ḥāzôn (Romanized according to SBL). As Craig says, it means vision and he’s right, but why he chose to spell it this way irks me. When you a quick google search of “Chazon,” “Hazon,” or Chazown, you discover that the first two spellings are in far greater usage. Most of the hits for “Chazown” seem to relate directly or indirectly to Craig’s book, a couple of online lexicons and a Youtube clip from a documentary on Cher’s son’s sexchange operation (Chaz- Own). Maybe this is a legitimate way of writing a holem vav(a pointed vav indicating an ‘o’ vowel) but it is not what I was taught, and it doesn’t seem to me to be that common. I kind of think it’s similar to me writing a book called Selah Vee from the French for “That’s life?” Why not spell it like everyone else? In the accompanying website chazown.com, Groeschel pronounces “Chazown” with a hard k (Kazone) instead of the soft guttural kh sound. Of course beyond faulty spelling and pronounciation, why name it “Chazown” anyway? The answer: marketing. Beyond a brief reference to the King James Version’s rendering of Proverbs 29:18, “Where there is no vision, the people perish (newer translations have the much more liberating, ‘cast off restraints’ instead of perishing),” there is little discussion in the book of the Hebrew concept of vision; instead Groeschel loads the term with his own understanding of what vision is. The use of the Hebrew here, is simply because if you saw another Christian/personal development/leadership book with “vision” in the title, you probably wouldn’t buy it. But you don’t know Hebrew so Chazown is exciting. All right, rant over. This is very helpful book which is thoughtfully engaged in helping people achieve God’s ‘chazown’ for their life. Groeschel helps people cast a vision for becoming all that God made them and take steps to walk into it. He begins in part 1 to get people to envision of where they want their life to end up (writing your epitaph). In part 2, he presents three overlapping circles which point to God’s vision for your life: your core values, your spiritual gifts and your past experiences. In part 3 he talks about the convergence of these three areas and how they reveal where God may be calling you. In part 4, Groeschel presents the image of a wheel with five ‘spokes’ which hold things together and allow us to acheive our vision. It is his contention that if we are to stay on track with “God’s chazown” in our life we need to cultivate our: (1) relationship with God, (2)relationship with people, (3)integrity in our finances, (4)make healthy choices about diet and exercise, (5) and attend to meaningful work. While I have a theological objection to placing God as another spoke in the wheel of our dreams (God is the center, the axle and the wheel itself), I like how holistic Groeschel is in his approach. His image illustrates how these areas are not ‘seperate spheres’ but interrelated and necessary components which need our attention. In part 5, Groschel talks about the need for accountability. In the end matter of the book, he gives helpful advice for picking up the pieces when we feel like we’ve failed God and ourselves. I have read through the book and found it challenging at different points and think it has some useful tools for self discovery, attending to areas of spiritual/physical health, and discovering where God may be calling you. I have finished the book, but plan to reread sections and go back and complete several of the exercises. the book also includes questions for personal use or group discussion making it a thoughtful choice for a church small group. As someone who has worked in college ministry, I think that this would be particularly helpful in that context. Thank you to Waterbrook Multnomah for providing me a copy of this book in exchange for this fair and honest review (albeit cranky in places). You could read this post if you want to but it will probably bore you to tears. In about twelve hours I’ll be boarding a plane to Edmonton, the city that unleashed me on the world. While there I am taking a class on the history of the Evangelical Covenant Church. This is the denomination that my wife Sarah and I have joined up with since seminary and I have been going through their ‘orientation process’ hoping to find a pastoral position with the denomination. So I’ve been taking classes to learn about their history and theology. While at Regent, we attended a Baptist church but didn’t really have strong denominational ties anywhere. It might seem strange that we chose to join up with a denomination we have no history with and I haven’t gotten a job with (yet). But it seems like a good fit for us, so for better or worse, we’re committed. The Evangelical Covenant is one of the churches that fully and enthusiastically ordains women. This is important to us as a dual M.Div family where my spouse and I both feel called to full time Christian work. This means in the ECC, Sarah is less likely to find herself kicking anyone in the goads. The Bible remains central to the Covenant. Their historic formulation is “the Bible is the only perfect rule for faith and conduct” and I appreciate the rootedness this provides. However they do not force you to sign off on any sort of sign off any particular statement of verbal inspiration and inerrancy. This allows for a certain plurality in interpretation and understanding of scripture that is not too dogmatic, but not too loose either. I have been really impressed with the sensibility the denomination brings to social issues and areas of justice. They have published several resolutions over the years, on topics ranging from the criminal justice system, human sexuality, creation and environmental care, abortion, etc. These are not paternalistic and moralistic papers but are well thought out and cognizant of the issues. Additionally the church as a whole is committed to racial reconciliation. I’ve really been impressed with some of their initiatives as someone who has been deeply impacted by the CCDA world. The ECC’s theology of the sacraments appeals to me. From their Lutheran for-bearers they retain a theology of the real presence in communion (though they do not define how Christ is present). They also practice both infant baptism and believers baptism, respecting the freedom of each family to form their own convictions about how to practice this ordinance. And so I am jobless but trust that God has me where he wants me and will use me for his glory someday, sometime. Until then, me and Michael W. Smith are ‘roaming through the night to find our place in this world, our place in this world.’ But in my sojourn, my journey seems to be with the Covenant. Posted on April 28, 2012 Categories church, Evangelical CovenantTags ECC, Michael W. Smith, Swedes in Tweeds5 Comments on You could read this post if you want to but it will probably bore you to tears. The ECC, Spener, the Bible and Me. Since moving back to the states after both getting Masters of Divinity degrees from Regent College, my wife and I have attached ourselves to an Evangelical Covenant Church. We have begun to really love the Covenant for its stances on justice, the ordination of women, its sacramental theology and the value it puts on scripture. In many ways we feel like we have found a theological home with the Covenant and we are not kicking against the goads. Recently my wife has taken a job at our church, and though I have yet to find a ministry job anywhere, I sense that God has led us here and I am in the right spot. Late January I took a couple of classes in Chicago (hence the blog hiatus) and am still really happy with this church. One of the things about the ECC, is they really own their Pietist heritage. The denomination grew out of a Swedish Pietist revival movement and it is pretty central to who they are as a denomination and how they understand themselves. 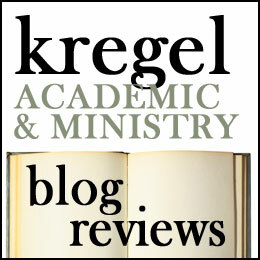 I know that in some theological circles, Pietism is looked down upon for its navel-gazing interiority and legalism. 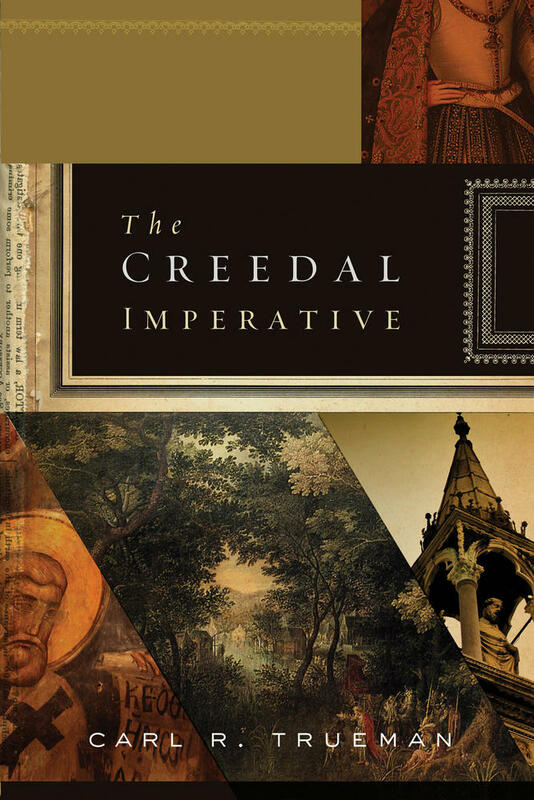 It is true that Pietism has at times devolves into an unhealthy mysticism and legalism but at its core there was a spiritual vitality which manifested itself in graciousness and social justice. The early Pietists met in coventicles (small groups) to study the Bible; these groups themselves were not culturally monolithic but broke with social conventions and broke down socio-economic and gender barriers. Likewise many of the early Pietists were social activists and not mere mystics. This is a great heritage. 1. To understand scripture we need heartfelt prayer. The act of reading and praying belong together. 3. To understand scripture we need to take what we read and practice it. Sometimes we only understand scripture when we get it into our bones. 4.To understand scripture we must read attentively. Spener is saying by this point that there are treasures in scripture for both the simple and the wise, but they will not show themselves to the person who is not really looking for them. If you aren’t looking you won’t really see. 5. To understand scripture we need to listen for God’s general word and his immediate word. That is, what does this scripture say in its original context and to people across time and space and what does it say to me in my context. I find myself wanting to quibble with Spener’s language on this point, but I think his point holds true. The Spirit who inspired the text has a general meaning and ‘word for today’ for the one who reads it. This disposition was not explicitly taught to me in seminary though I think in general my professors would affirm a prayerful,repentant, active, attentive, and discerning disposition. Okay they all would affirm that, though they might argue with Spener’s specific articulation of that. Certainly the tools of exegesis and various insights into the nature of the text help shape our understanding and these are important, but not instead of reading expecting to hear God speak. One of the exciting things for me about church these days is I am part of a church which approaches scripture with this sort of reverence and expectancy. As we prayerfully attend to the Word, our own condition and faithfully seek to live out what we read there, God reveals himself to us. Posted on February 10, 2012 February 10, 2012 Categories Bible, church, Evangelical Covenant, Hermeneutics, Holy SpiritTags Church History, evangelical covenant church, jacob spener, pia desideriaLeave a comment on The ECC, Spener, the Bible and Me.